For the world’s whales, dolphins and porpoises (collectively known as cetaceans), 2018 is a critical year. The 67th meeting of the International Whaling Commission (IWC67) takes place in Brazil in September, where important proposals will be discussed with far-reaching consequences for the conservation of cetaceans. 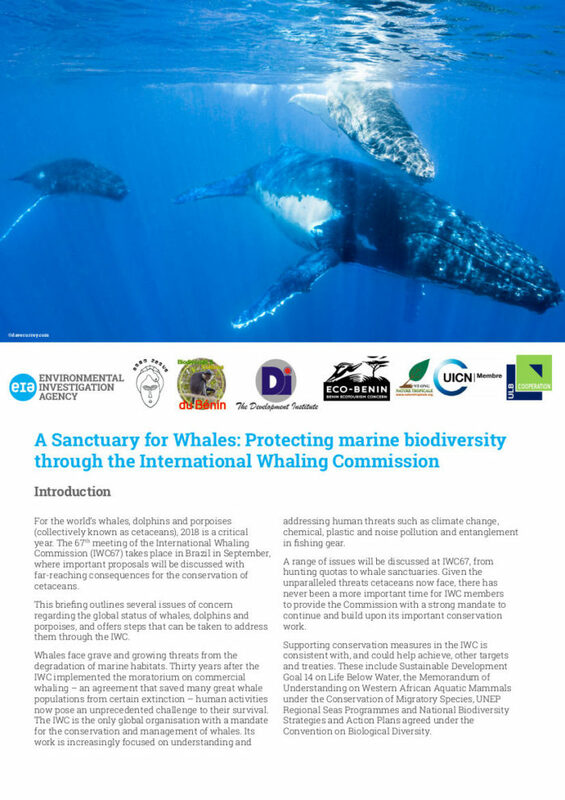 This briefing outlines several issues of concern regarding the global status of whales, dolphins and porpoises, and offers steps that can be taken to address them through the IWC.